A signature from Gov. John Hickenlooper is all that's needed for rain barrels to be fully legal in Colorado. 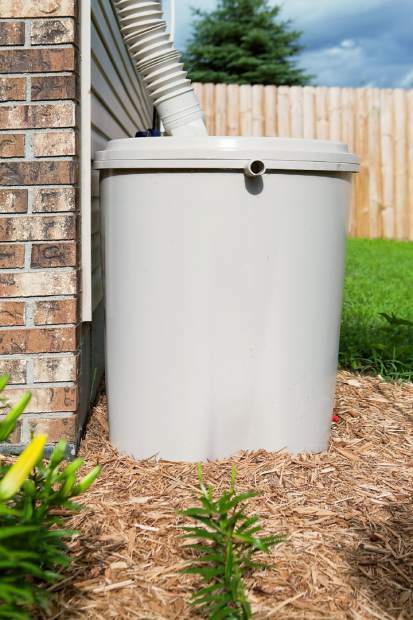 A class at Metropolitan State University of Denver will design a rain barrel to go along with the new law. A group of students will take on the project in an industrial design course taught by Mike Mayberry with one goal in mind: Making a better rain barrel. The idea came from Tom Cech, director of the One World One Water Center at MSU Denver. Cech's daughter and son-in-law, April and Ryan Tucker, live in Los Angeles and have a rain barrel of their own. But there are a number of problems with the current design Cech said he hopes the class can update. One issue is the plastic material used to make the barrels, as the material is easily warped in high temperatures. 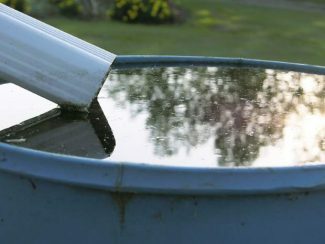 Other issues come from the mechanics of removing water from the barrel and making sure the water goes into the barrel, but also ensuring it doesn't have an opening conducive for mosquito breeding. The fact that most people can't have rain barrels was a surprise to Ted Shin when he moved to Colorado from Illinois in 2006. Shin is the chair of the industrial design at MSU Denver and said the problems with the barrel's design will be addressed by the students. "The biggest one is that it doesn't overflow and how to use them," Shin said. "Everything will be addressed in the class." While the mechanics are important, another lesson for the students won't be how to design the barrel, but why they're doing it now. With House Bill 1005, two 55-gallon rain barrels can be used to collect rain water in Colorado — something only well owners were able to do previously. Hickenlooper told The Denver Post in early April he would sign the bill, but only has a few more weeks to do so. Like Shin didn't, many don't understand how water rights work in the state. But that's something the class and the One World One Water Center wants to address. "The biggest benefit is the awareness of urban people to learn about water rights in Colorado," Cech said. The awareness is important because of the dry climate in Colorado. While not equal to the drought problems that led to a cutback of 25 percent of water use in parts of California, it's important to think about ways to better use and utilize water in Colorado.